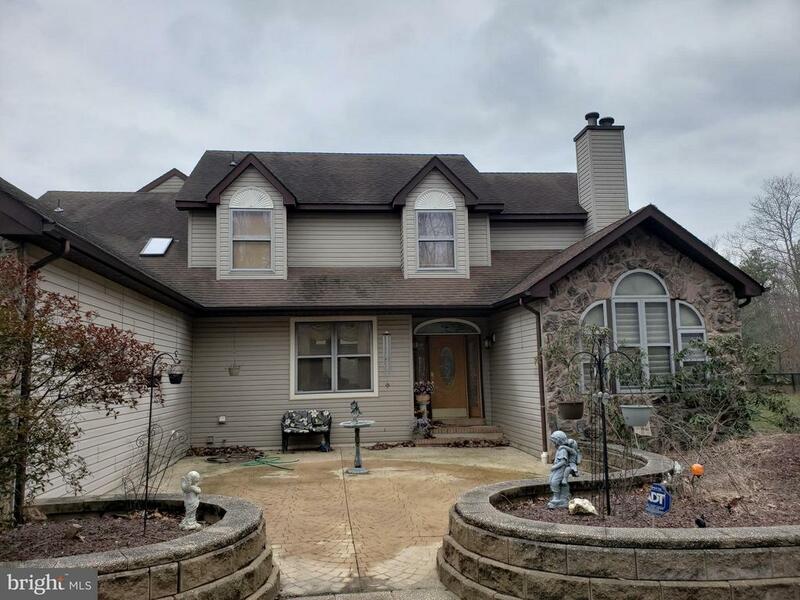 All Jackson homes currently listed for sale in Jackson as of 04/20/2019 are shown below. You can change the search criteria at any time by pressing the 'Change Search' button below. If you have any questions or you would like more information about any Jackson homes for sale or other Jackson real estate, please contact us and one of our knowledgeable Jackson REALTORS® would be pleased to assist you. "On almost 23 acres, this custom home has so much to offer! Long winding driveway welcomes you to a private escape! 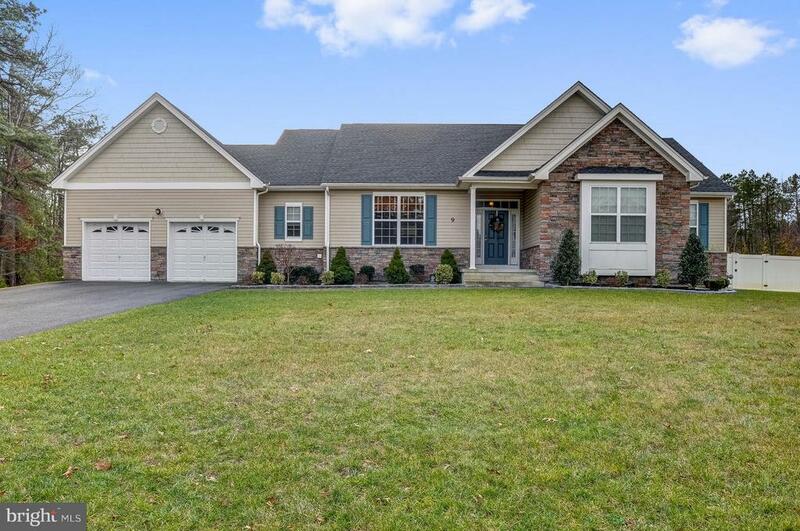 The Large main home has many custom upgrades! Geothermal heat, central air, propane and oil back up heat, solar, air exchange system and so much more. Very bright with skylights and vaulted ceilings, interior lofts and open concept. Large attached sun room connects adjoining deck. Master bedroom on first floor. Walk in closets, sitting room and master bath suite. Oversized full basement. 2 Very large detached garages perfect for any contractor, car enthusiast, business owner and more! 5000 Sq Ft oversized garage can fit tractor trailers or dump trucks and the other is an oversized double twin door 4 car garage that has room for 8 vehicles. Large gazebo in rear fenced yard. Solar electric system is owned. House has generator. Survey available. Property is not preserved. R-3 Zoning. Call to schedule a showing today!" 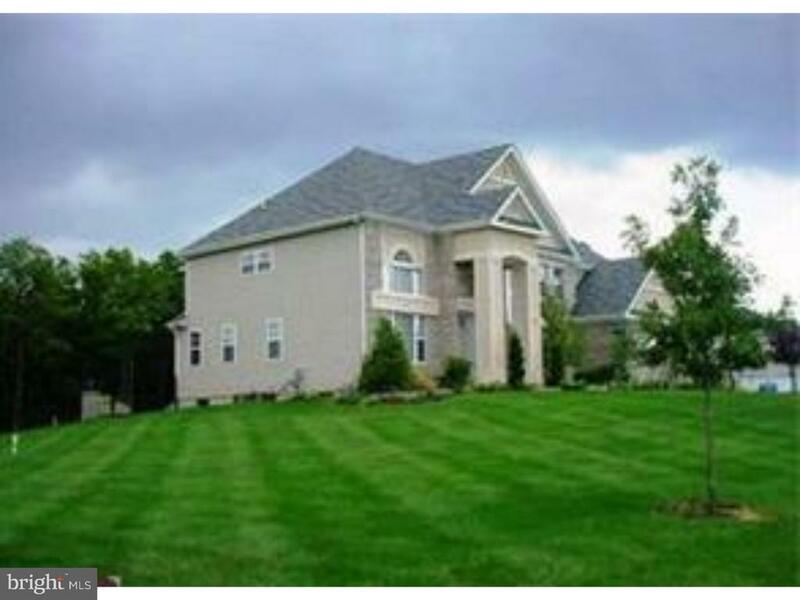 "Double door entry to 2 story foyer and formal living & dining room with oak floors. Gourmet Kitchen with 42 cabinets. Great room with 2 story windows, built in entertainment center, and gas fireplace. Front and back oak staircase leads to bedrooms & double door master suite with sitting room, walk-in closet, and master bath. Patio surrounds fenced in-ground pool. Intercom and security systems." "NEW CONSTRUCTION by FERNMOOR HOMES...Pine Knoll 16 Homes featuring 4 bedrooms with 2.5 Bathrooms, full poured concrete basement, 2 car garage. S.F. ranging from 2821-3357 of lavish living space. These homes are situated on wooded 1-7 acre home sites. Included Features include 2 Zone HVAC, 42'' Maple Cabinets with granite countertops. stainless steel appliances, ceramic tile baths, hardwood floors in the foyer,kitchen, breakfast nook and poweder room, irrigation system for front yard, Homeowner Inclusion Program with scheduled orientation meetings. Prices from 490,990-525,990. The optional sunroom, conservatory, 3 car garage, and First Floor 5th bedroom suite is available for the Juniper Model. Pictures represent model home from another location." "NEW CONSTRUCTION by FERNMOOR HOMES...Pine Knoll 16 Homes featuring 4 bedrooms with 2.5 Bathrooms, full poured concrete basement, 2 car garage. S.F. ranging from 2821-3357 of lavish living space. These homes are situated on wooded 1-7 acre home sites. Included Features include 2 Zone HVAC, 42'' Maple Cabinets with granite countertops. stainless steel appliances, ceramic tile baths, hardwood floors in the foyer, kitchen, breakfast nook and powder room, irrigation system for front yard, Homeowner Inclusion Program with scheduled orientation meetings. Prices from 509,990-550,990. The option sunroom, conservatory, 3 car garage, and First Floor Guest/In-law Suite are available on this Hickory model." 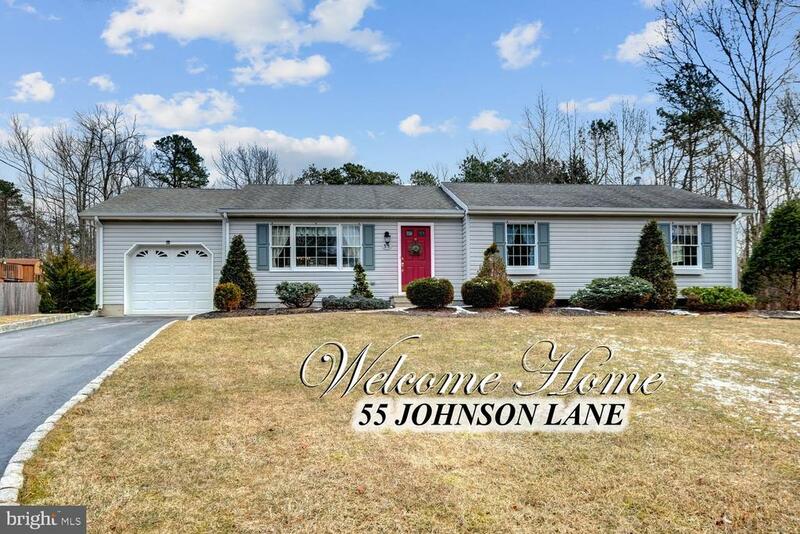 "This beautiful sprawling Colonial Rancher is constructed on an acre of protected Pinelands, ideal for the family seeking the kind of comfort and serenity that one uniquely finds in the countryside of Fawn Ridge/Ocean County. The house encompasses 2,100 square feet of admirable living space. The elongated driveway reveals an elegant home with a two car attached garage, vinyl and brick-faced exterior with an assortment of manicured shrubs. There is a covered porch to provide protection from in climate weather before entering. Once inside, the foyer greets you with an endearing warm brown marble hallway, illuminated by an overhanging sleek designed chandelier. Upon further entry, you~ll find yourself embraced by the luster of shinny hardwood floors throughout the house. The living room is spacious for accommodating large family & friend gatherings. It is enhanced by oversized windows for lots of sunlight; in addition, there is an adorable cozy fireplace to take the chill away when necessary. You~ll find recess lighting over head with a smartly designed inset ceiling paired with a chandelier in the formal dining area. The living room, dining room and kitchen meander comfortably from one to the other. The kitchen is tastefully designed with granite counter tops, an aisle work space that fits perfectly as well as a reverse osmosis water filtration system. This important area is further enthused by stainless steel modern appliances, support provided by those beautiful glimmering hardwood floors. The laundry is equipped with front loaded Samsung washer and dryer. This 3 bedroom dwelling with two and a half baths has just what you need for comforting repose with lots of closets. The Master bedroom~s bath area offers granite counter tops and a gorgeous walk-in oversized shower. The basement is completely finished with gray-wood grain Pergo flooring, recess lighting, lots of closets and bathroom accommodation. Outside, the backyard places an exclamation point on expansive as"
"NEW CONSTRUCTION by FERNMOOR HOMES...Pine Knoll 16 Homes featuring 4 bedrooms with 2.5 Bathrooms, full poured concrete basement, 2 car garage. S.F. ranging from 2821-3357+ of lavish living space. These homes are situated on wooded 1-7 acre home sites. Included Features include 2 Zone HVAC, 42'' Maple Cabinets with granite countertops. stainless steel appliances, ceramic tile baths, hardwood floors in the foyer,kitchen, breakfast nook and poweder room, irrigation system for front yard, Homeowner Inclusion Program with scheduled orientation meetings. Prices from 509,990-550,990. The option sunroom, conservatory, 3 car garage are available on this Elm model." 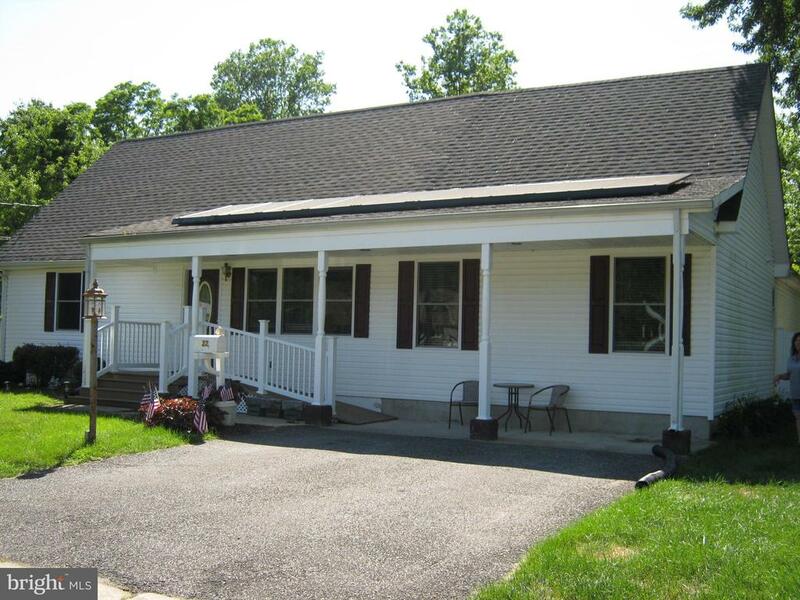 "Lovely 3 bedroom 2 bathroom ranch home nestled on a 1.23 acre lot! Newer windows provide ample natural light and help overlook the gorgeous view of the wooded yard. Imagine relaxing outside on your private deck and patio enjoying the beautiful weather this summer! Master bedroom is a calm oasis with vaulted ceilings and private full bath! Endless opportunities to create a space of your own in the partially finished basement with high ceilings! Many upgrades in this well maintained home including a security system, garage door opener, underground sprinkler system, newer appliances, surround sound, electric fireplace, above ground pool, patio, deck, extra storage in garage and pull down attic! Home is near all major highways, shopping, dining and beaches." 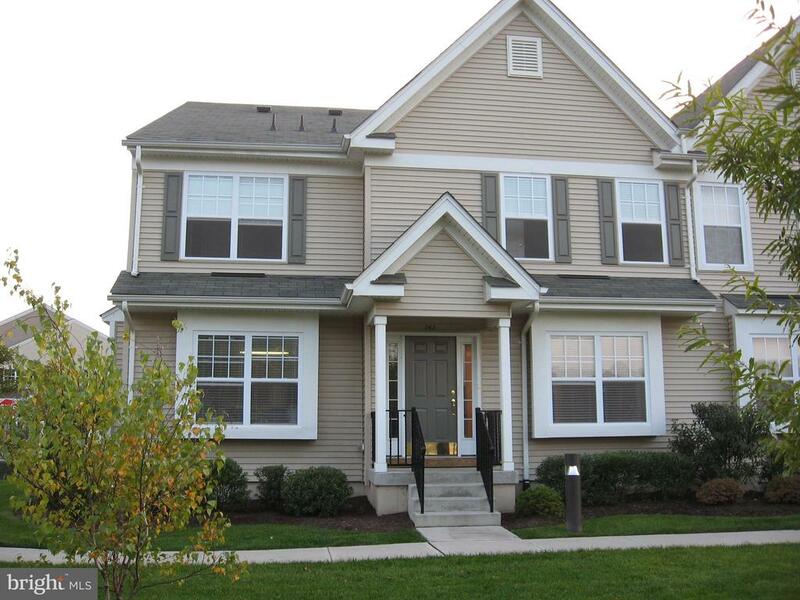 "Great 3 BR 2.5 BA Townhouse in the Mews at Cooks Bridge. The First level includes a Living Room & Dining Room with Hardwood floors, Family Room and Kitchen. The Kitchen has 42'' Maple cabinets and stainless appliances. The Stove is Brand New. The Second level includes 3 Bedrooms and 2 Full baths and the Laundry area. There is plenty of storage in the full basement. Community includes it's own pool and tennis courts. 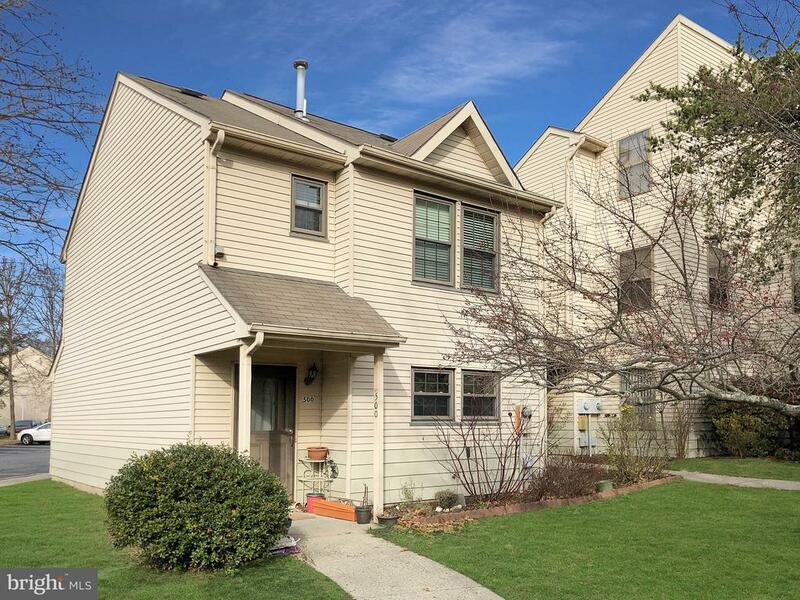 Great for Commuters with easy access to I-195." "CHARMING CAPE at the end of the CUL-DE-SAC has fenced YARD & BRAND NEW SEPTIC! Plus NEW ELECTRIC PANEL and Three spacious bedrooms, plus FULL BASEMENT w/''bilco's''. SUPER LARGE BONUS ROOM on 2nd floor, plus vinyl windows and Leaf Guard gutters (guaranteed for life) ~ This home even comes with a 1 year HMS warranty! This home is an amazing value and can accommodate a quick closing." "Your new home! One of the few desirable detached Evergreen Model units on the 60 Acre Reserve with 2 bedrooms & 1.5 baths. The first floor has a wonderful open floor plan with wood laminate flooring running throughout the living room and dining area. Plenty of space for a dining table, couch and even a home office. The kitchen, with serving hatch through to the dining room, has been updated with a new dishwasher and contrasting work surfaces. There is also a half bath on the first floor, and sliding doors leading from the living room onto the patio area at the back of the property. The second floor has 2 sizable bedrooms, a laundry room, and a full bathroom with shower tub. The master has plenty of closet space. The patio has room for grilling and an extra storage unit. There is also a fairly new hot water heater. Community amenities include jogging, a biking path, outdoor swimming pool, playgrounds, basketball courts, tennis courts, and of course walking through the nature reserve right on your doorstep." "This 3BR/1Bth ranch-style home has approx. 1,161 SF of living space. Features: front deck, full basement and detached garage and sits on roughly a .92 acre lot. Bring your design ideas and make this one shine again. *** Property Condition Disclosure:tarp on the roof, holes in the basement wall and 2 walls are removed and are treated for discoloration. Bedroom 1 and 2 are both treated for discoloration. Separate structure on property in general disrepair. ***"